Our second Ocean Optimism class discussion focused on how to raise awareness of ocean issues, and which groups are showing improvement in this respect. Ocean awareness can be done on both the local, regional, national or international level since anyone from local people to governments have the power to ignite a change in societies around the world. Corporations, companies, and organizations can be examples for doing their part in helping the environment and providing educational resources for the public. Schools, grassroot groups, celebrities, and name brands have the potential to reach the people directly and through these combined efforts, there is great potential to increase awareness of ocean stewardship. International ocean sustainability requires cooperation and compromise between nations, facilitated by international institutions such as the United Nations. Once a new environmental norm is established within a group of nations, other nations will be pressured to follow suit. Our class discussed how some nations might be less willing or able to accommodate new standards even if it were to help improve the global quality of life. Every nation has varying cultures and ideals, which can result in it becoming increasingly difficult for individual societies to adapt quickly. However, culture has the ability to change over time as people start to see the attractiveness in preserving the environment. One heartening illustration of this was shared by a peer who described a personal anecdote: although shark fins are generally enjoyed in the Chinese culture, the youth in China are beginning to develop an aversion to this longstanding tradition that has significant environmental impact. To raise awareness among the community, we need to start at the source before ocean pollution and other environmental issues become an even bigger problem. In the discussion, our class believed that raising awareness among a younger audience will be much more effective in spreading awareness nationwide. A way to raise awareness among youth is to make it a part of their early education such as implementing Environmental Science into their high school academic requirements so that they start learning about their surroundings and how they impact it at a younger age. There could even be an educational outreach component of high school Environmental Science and a more efficient option to spread the awareness. Young adults, such as the students in this class, could organize events at elementary and middle schools to share their knowledge about the environment and steps individuals can take to conserve it. Our class was also hopeful that governments would fund programs that help teach students about the importance of protecting the environment. In addition to educating our youth, we could increase awareness through various media sources and pop culture. Making movies or simple cartoons about environmental problems could not only be educational but it will attract the attention of youth. For instance, movies such as “The Lorax” and “Wall-e” have already gained widespread approval for their portrayal of how pollution can directly affect life as we know it. As a group, we agreed that if the younger audience had access to that type of information, we will be encouraging them to take action at an early age which may lead to the development of good habits. Additionally, a great way to capture the attention of people of all ages is through celebrities and popular name brands. Celebrities hold large degrees of influence over people of various backgrounds. Every day, people look to celebrities for inspiration and “advice.” For example, the actor Leonardo DiCaprio is campaigning to encourage people to take action against climate change. Dicaprio recently created a movie titled “Before the Flood,” illustrating the fast approaching negative effects of global warming. 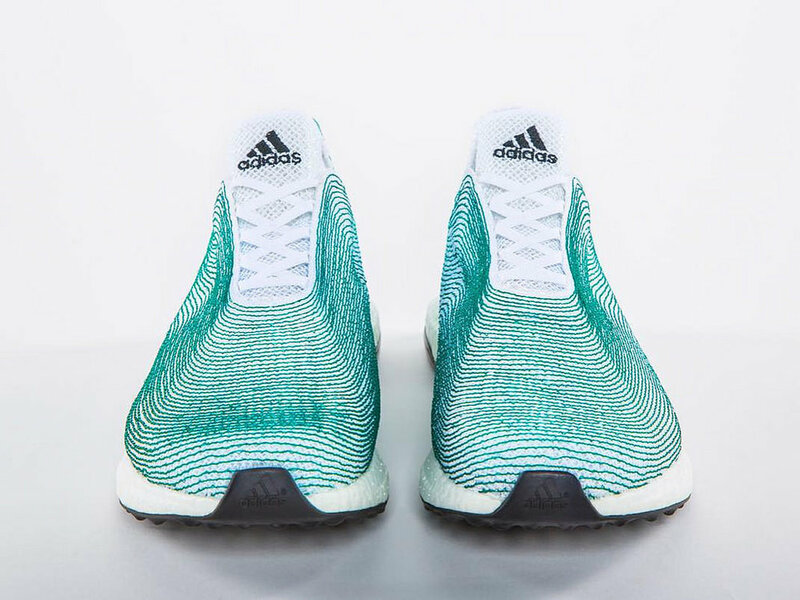 Name brand companies such as Adidas have created a product that they call “ocean plastic shoes,” which are made from recycled plastics recovered from our oceans. These “high performance” sports shoes are slowly gaining popularity among the masses. With ocean awareness disseminated on an array of levels, including international, national, transnational and grassroots, the necessity to reduce human impact on the oceans can be more effectively spread to the masses and progress more readily made in the near future. Governments have the responsibility to make the public realize the severity of ocean pollution and conservation issues. Young people can also lead the charge by becoming more aware, and teaching each other. Many celebrities and public figures can show leadership to help protect our environment. Everyone has to do their part to protect our ocean.